Malgudi- a fictitious small town in south India is typical of any small town or village, habituated by timeless characters who could be living anywhere in the world. They are simple folk, dealing with therir lives in an uniquely engaging, humorous and humane manner. Famous Indian novelist R.K.Narayan, drew on his observance of human life to create the magic of Malgudi Days. Directed by the late kannada actor and director, Shankar nag in 1987, the famous television series was shot entirely near agumbe in shimoga district, Karnataka. The sketches for the serial were done by Narayan’s brother and acclaimed cartoonist, R.K. Laxman. 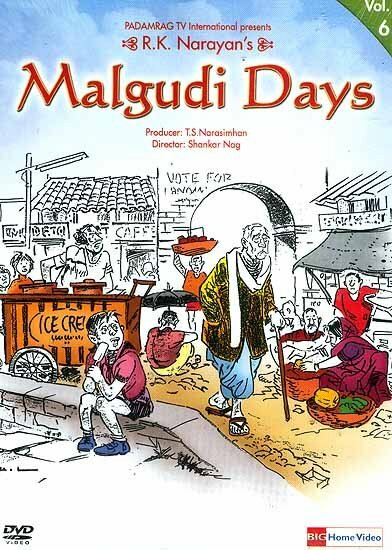 'Malgudi Days' remains one of the most loved, nostalgic television series of all times.